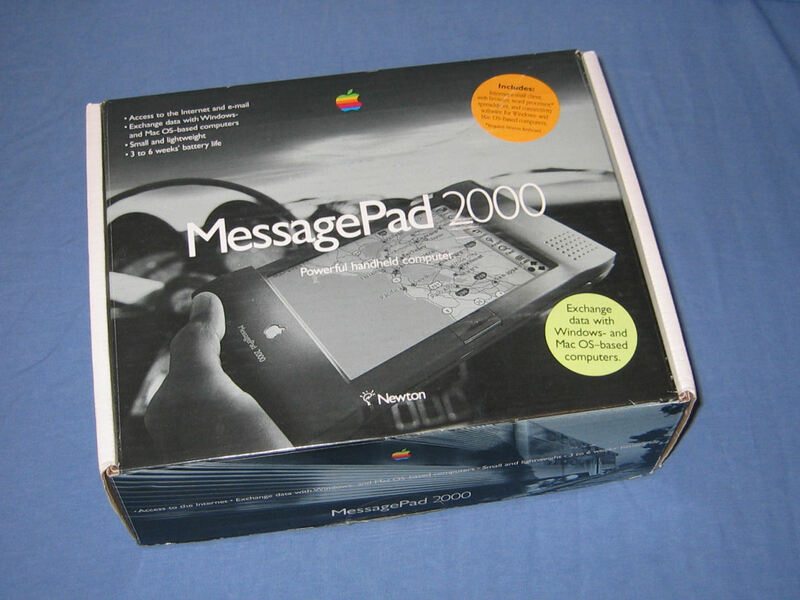 In January 2006 I purchased (via eBay) a MessagePad 2000 unit and keyboard in original boxes. 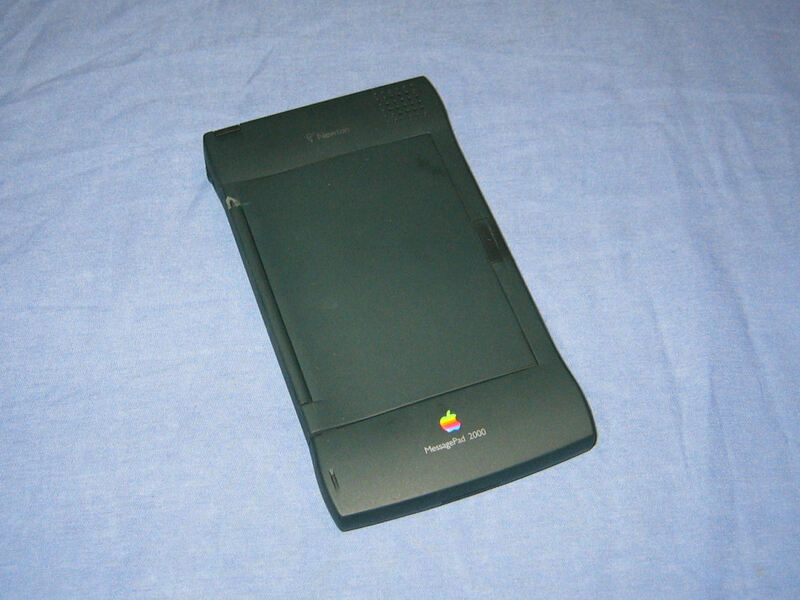 The box for the MessagePad 2000. 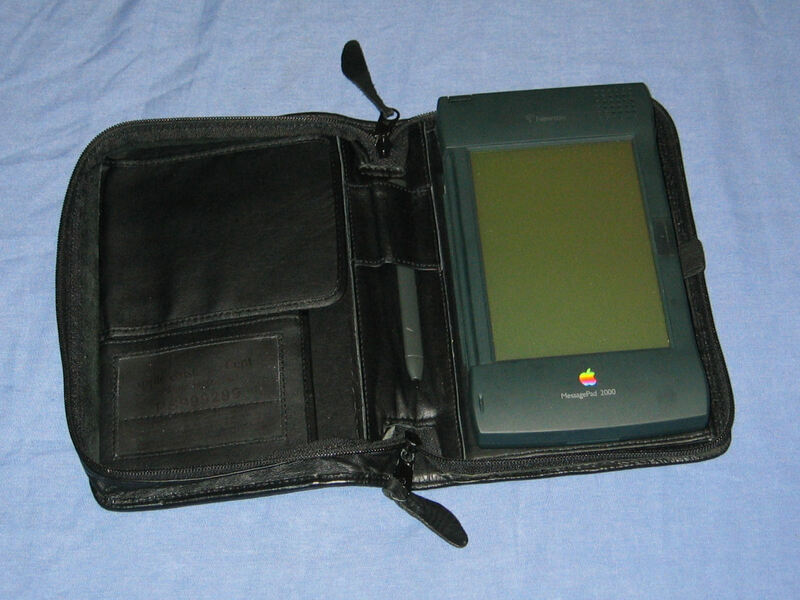 The carry pouch that is compatible with at least the MessagePad 130 and MessagePad 2000. The carry pouch open. On the right is the MessagePad with a variety of card holders on the left. 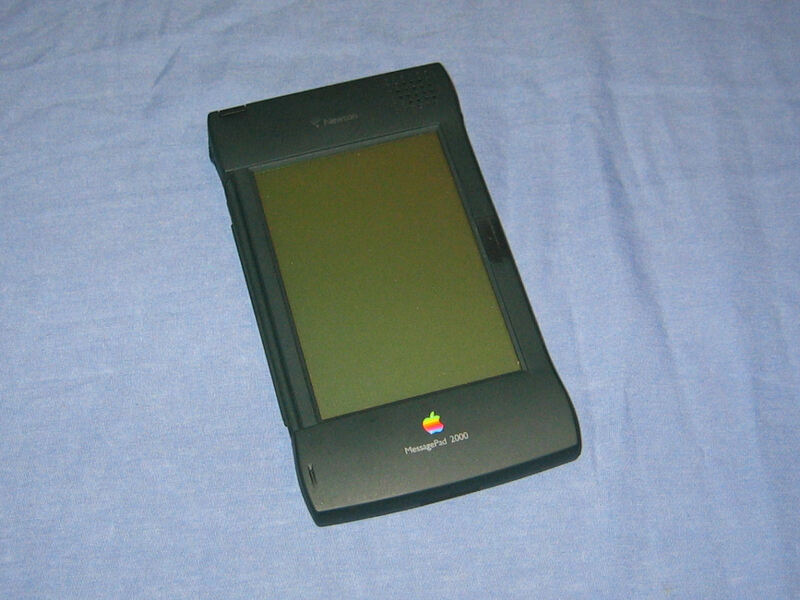 The front of the unit with the screen cover closed. Unfortunately there is a piece missing from the cover at the upper hinge. The front of the unit again except now the screen cover has been flipped around to the back out of the way. 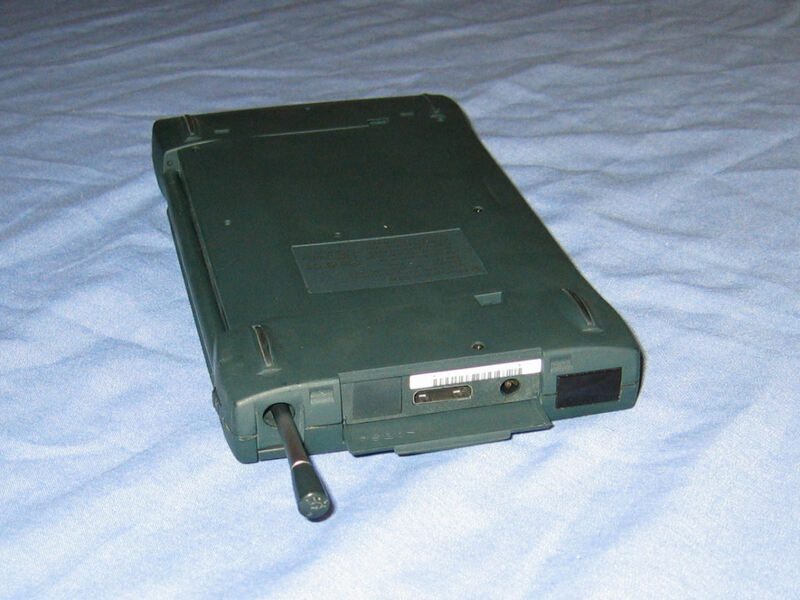 On the right hand side of the unit are two PCMCIA slots (one with the card partially removed) and the opening for the battery compartment. 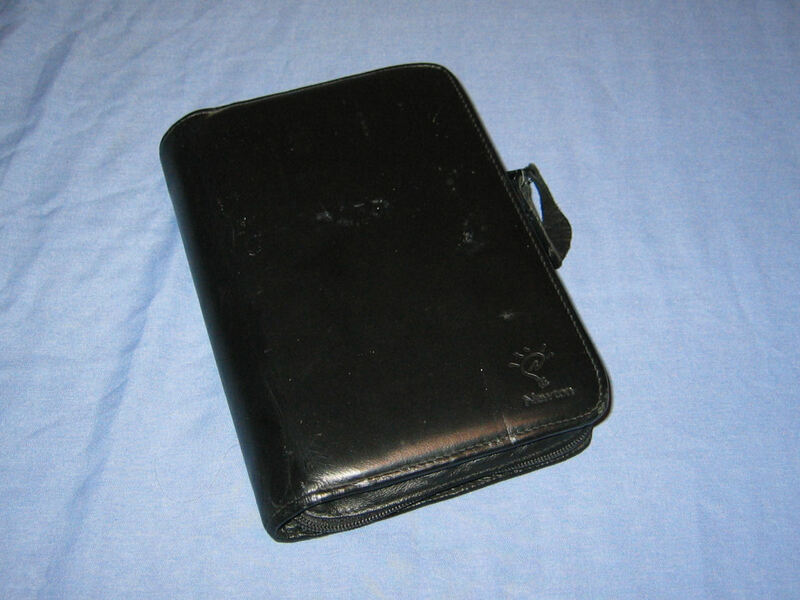 The battery holder pictured holds four AA batteries and an alternate rechargeable pack was available. The top of the unit features the slot for the stylus and the IR port on the outside. Under a cover are the serial port (non-standard connector) and the DC power input. 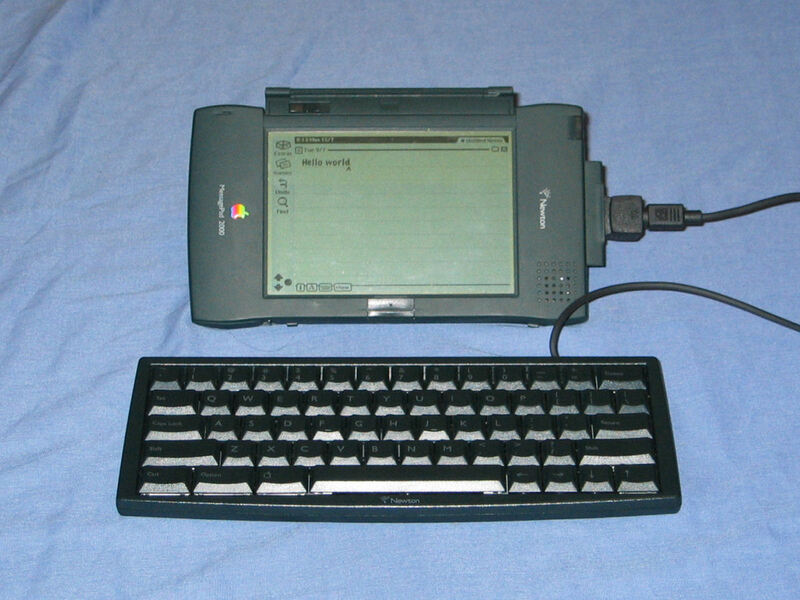 The newton with the screen rotated is propped up on its lid and the keyboard attached. 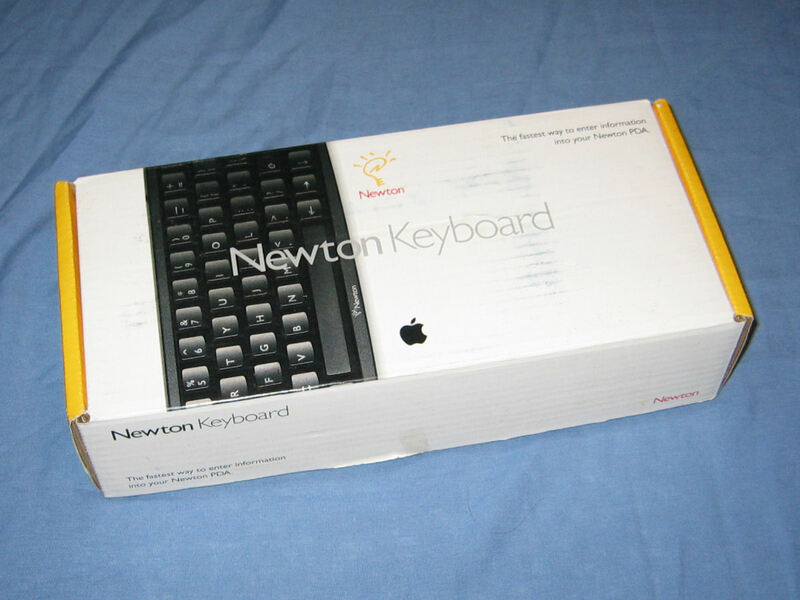 The box for the Newton Keyboard which can be used on any Newton running at least version 2.0 of Newton OS. 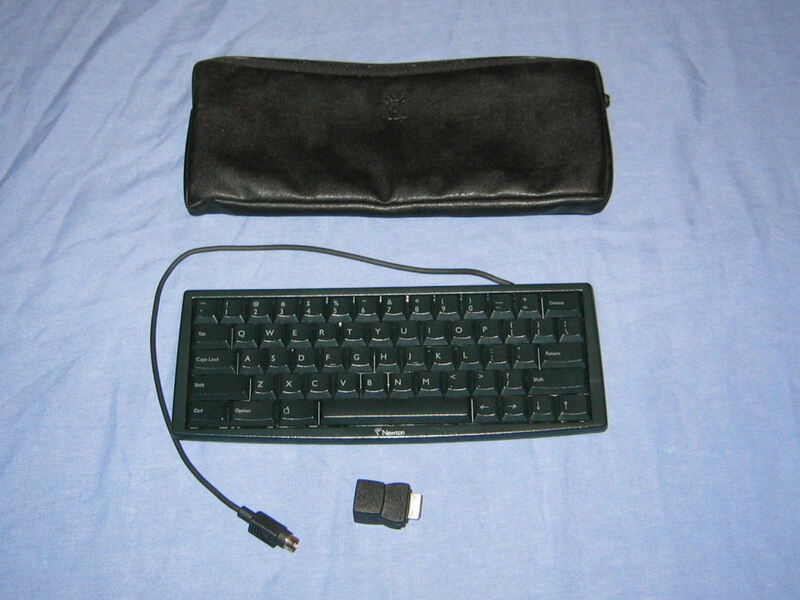 The newton keyboard and its travel pouch. 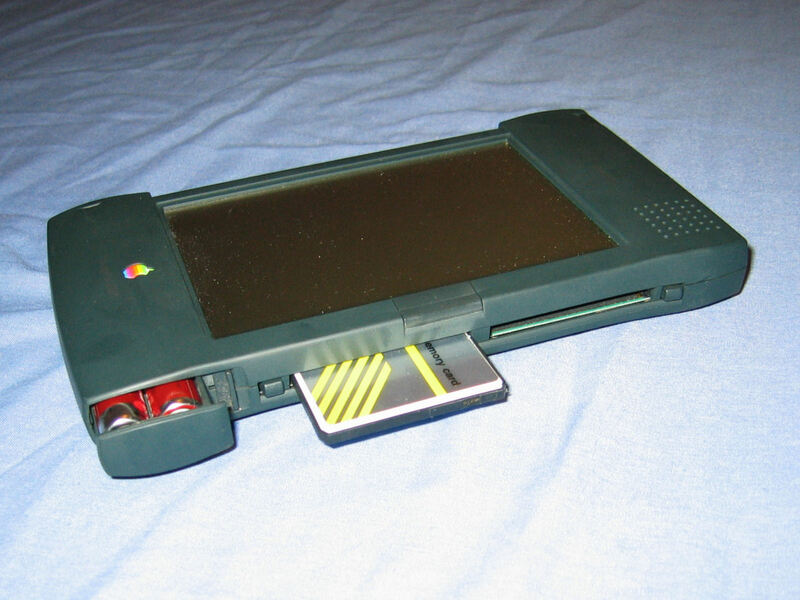 Also pictured is the adapter for the MessagePad 2000 to allow serial devices with a din-8 connector to connect. "Bet you didn't know that your Newt can do ethernet, did ya? Well, that's why I'm here to tell you everything you need to know about your Newton and its ethernet capabilities."